Deloitte has been named as the first Australian certified implementation partner (CIP) for SAP Concur, SAP’s expense management software-as-a-service (SaaS) subsidiary. The deal means that Deloitte is currently the only local partner that can now configure the SAP Concur expense technology solution, which was previously done only by internal SAP Concur team. Deloitte had already been advising businesses on how to integrate SAP Concur into both large-scale SAP-based enterprise and mid-market programs. Deloitte will configure SAP Concur solutions directly for customers as it continues to provide existing client-side integration services including solution design, project governance, and change management. “Being recognised as a SAP Concur certified implementation partner was the logical next step for our practice, having already worked with over 80 clients in adopting SAP Concur," Deloitte advisory partner Greg Haskins said. 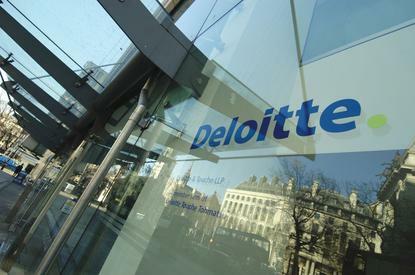 According to Deloitte, the certification process was rigorous with Deloitte undergoing classroom training and participating in SAP Concur on-the-job training and support. As a result, Deloitte now offers overall project management; policy and solution design; setup, integration, review, and validation; deployment assistance including support and training; and handoff to support. Deloitte's certification reflects an increasing demand in Australia and New Zealand for SAP Concur's solution, according to Matthew Goss, SAP Concur A/NZ managing director. "As businesses have explored digital transformation, the value of these solutions has become crystal clear: companies are saving money through reduced expenses and streamlined processes," Goss said. "SAP Concur’s relationship with Deloitte is incredibly strong and this expanded alliance will let new customers gain similar benefits by using SAP Concur. “Appointing Deloitte as SAP Concur’s first CIP in the region provides the market with additional options for implementing SAP and Concur solutions," he added. Earlier in March, SAP Concur announced its first reseller agreement with MicroChannel in a deal that involved a 12-month pilot program during which MicroChannel will sell SAP Concur products directly to its client base. The vendor claimed at the time that this was the first time it had partnered with a reseller under this type of program in A/NZ, and the third partnership of its kind for SAP Concur worldwide.